80%! That’s a huge percentage! There are a lot of reasons for the magnesium deficiency. Magnesium is key to good health. Jillee documents 15 health conditions, and how magnesium can help. Something like a migraine headache, for example, could be due to a magnesium deficiency. She then discusses the different ways we can get more magesium into our systems. Jillee’s posts are always well-researched, informative, and well-written. 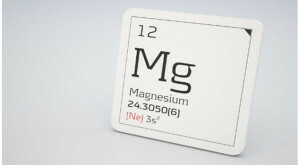 Click on the 15 Ways “Miracle Magnesium” Can To Improve Your Health link below for the full post. It might really help your health.